If your team is having too many meetings, it could prove a drain on productivity and morale. Learn how to do meetings right. 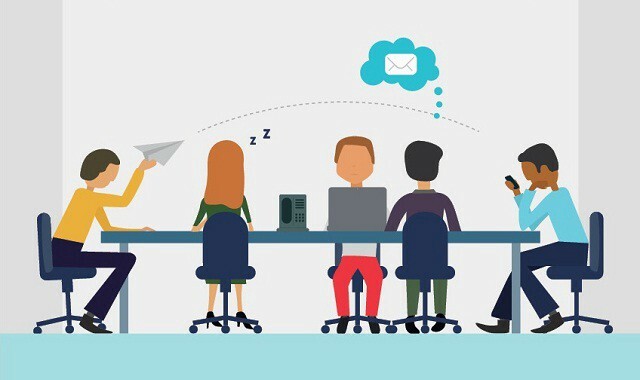 71% of meetings are considered unproductive. Let’s fix that. I believe in a world where meetings enhance productivity, inspire creativity, and enable teams to move faster — not the opposite. We’ve all been there. We get to work at 9 am (or 10 am if you’re on the West Coast), and open up our calendars to check the agenda for the day. Yup, looks like another day where 50%+ of the time will be dedicated to a meeting. The ironic thing is: no one loves meetings. In fact, we all complain about them: too many, too long, too often. But, we still schedule them, we still join them, and we still go with the flow. And why is this? Well, meetings are represented and ingrained in our work cultures. More progressive cultures will have strict meeting policies, but the majority of workplaces have no meeting policy or a bad one. So, what do we hear day after day? Wasn’t able to get anything done yesterday, had to go to a bunch of meetings. Find a slot on my calendar if you can, though I’m pretty booked up. Oh my god. A one hour meeting just for that? They could have just sent an email! Ugh.. I have meetings all day... to schedule more meetings. This article is focusing on the more formal type of meeting — where a defined block of time is set aside with a defined purpose (standups, formal business meetings, formally arranged conferences, recurring meetings). Often, we conflate the word ‘meeting’ with a normal workplace interaction, whereby you will discuss work-driven objectives with your coworkers in a more informal capacity. These are typically more organic interactions without a set time interval and can happen spontaneously. Let's look at a sports analogy: football (American). There is continual interaction throughout the entire game: players on the sidelines, coaches, players on the field, the quarterback, etc. The players interact with each other the entire time. The players on the field huddle up prior to the play, but only for less than a minute. Those on the sidelines are still interacting and preparing for their time to play. Coaches are chatting with individual players or with small groups of players here and there. At halftime, there is a more formal meeting where all players go into the locker room. This is the longest meeting and it only happens once per game. 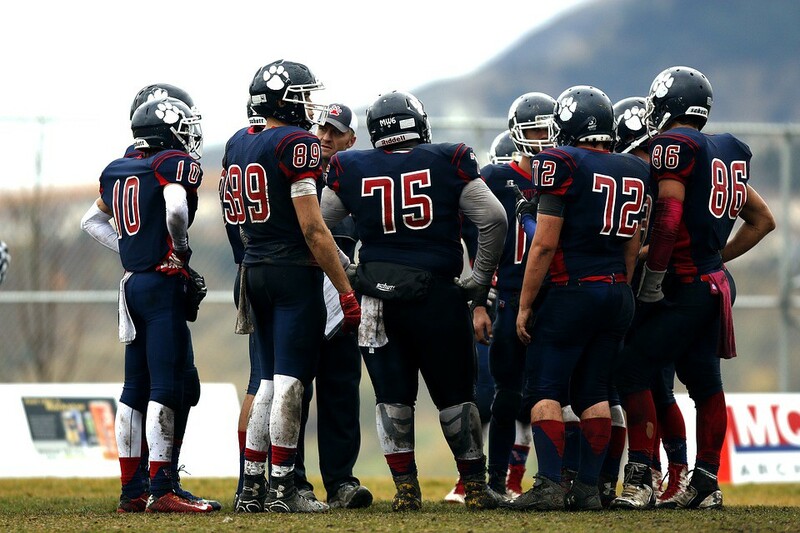 It is a chance for leadership to have an all-hands sync up with the entire team to discuss objectives, strategy, and reflect on the first half of the game. Teams have a limited number of timeouts per game, that we’ll call ‘elective meetings.’ These timeout meetings are used only when necessary in case extraneous circumstances call for a change of plans. Every meeting has a very defined purpose with an equally strict timeline and every meeting must result in some sort of decision to move things forward. So the question is: should our workplaces treat meetings like a football team does? And, if so, why aren’t we and what are the consequences? Back in the days of landline telephones, no computers, and no cell phones, meetings were much more of a necessity. You couldn’t Slack someone in a different building or coordinate an email thread with multiple participants. In the early 20th-century, the friction to coordinate a meeting was much higher. In fact, the friction to coordinate a meeting was much higher. You had to schedule in advance, make sure everyone was properly notified, and make sure everyone could attend. There was no Google Calendar to sync invites and reschedule with a push notification. I don’t want to claim that meetings were necessarily more or less productive back in the pre-tech days, but I can imagine that the opportunity cost and planning cost were much greater. As the 20th-century pushed forward, companies grew and grew to massive sizes —in multiple regions with multiple different teams. Coordination became a widespread organizational challenge. In the later 20th-century, multi-region companies inherited the culture of long and frequent meetings, but now at scale. Inheriting the culture of the early-20th century, these companies still embraced a culture of long and frequent meetings — where decision-makers transition from one meeting to the next, making or deferring decisions based on very limited information. Now with the introduction of simple video conferencing, meeting schedulers, and automated calendaring, meetings have become frictionless to coordinate. You simply select your participants, find some time where most or all are free, and plop it on their calendar. In the modern tech age, scheduling and organizing meetings have become frictionless — meaning more meetings, more often. Scheduling and organizing meetings have become frictionless. Ironically, the toughest part is finding a time that works for all the relevant stakeholders because they are booked in so many other meetings. In an organization where meetings are long and rampant, they become ingrained in the organizational culture. Suddenly, being busy does not mean you are doing a lot of work or being productive... busy means that your time is dedicated to meetings. In a meeting-driven organization, being ‘busy’ does not mean you are being productive — it typically means your time is dedicated to meetings. Therefore, you are time-constrained, but not necessarily busy producing value for the company. Ineffective and cursory decision-making — Due to the frequency and length of meetings, preparing adequately for every meeting becomes daunting and near impossible. So, what happens is that teams are making abrupt and poorly-informed decisions based on limited information. Or, teams will just agree on an outcome just to end the meeting early. In meetings, teams will agree on an outcome just to end the meeting early — often leading to ill-informed decisions. Task Interruption — When an individual contributor has meetings scattered throughout the day, your ability to concentrate and work on your tasks becomes interrupted. There is a ramp-up time to start working at a steady cadence, so every time you are interrupted, you have to re-ramp up. Time Gaps — Building on task interruption is the notion of time gaps. If you have a meeting that ends at 10:30 am and one that starts at 11:00 am, then are you really going to try to churn out productivity in that 30-minute slot? At most, you’ll get 10–15 minutes of work in before you need to go to your next meeting. Most likely, you will just decompress and relax during that time gap before your next meeting. Energy Drain — Remember that boring class in school? Where you watch the clock and your mind wanders? You struggled to stay awake and struggled to entertain yourself. You aren’t sure what the teacher is saying, so you just agree with the class and hope that you can get excused early. Morale Drain — When everyone is bored, lethargic, or distracted around you, then it drains the morale from the room (see the cartoon below). Should You Have a Meeting? Device-free (cell phone and laptop bans except for the presenter) — Due to the rampant multitasking in meetings, banning distractions will help expedite decision-making, attentiveness, and the meeting’s resolution. Teams will be more ‘present’ and it will enable more effective outcomes. Time-conscious — The meeting should only be scheduled if it absolutely requires real-time conversation at a time that does not unduly impact the workflow of the attendees. 80% of meetings should only be 15 minutes or less. Appropriately scoped — Only the absolutely relevant stakeholders should be invited to the meeting. Optional attendees should receive the meeting results in an email, but often do not need to attend in person. In fact, these attendees could give input prior to the meeting for discussion. Discussion-driven—Your meeting collateral (like slides or handouts) should be tailored for real-time discussion. The meeting should have more time set aside for discussion than for the presentation. The meeting facilitator should ask attendees directly for their opinions in order to encourage active listening and participation. All tangential discussions should be tabled immediately. Necessary — Does the meeting actually need to happen? Or could an email, chat, phone call, or in person chat resolve the issue? If it’s a topic that requires more thought, then maybe the meeting is premature and all stakeholders should do more research prior to formalizing a meeting. Prepped in advance — Ideally, all important stakeholders should weigh in on the issue prior to the meeting or have time to do research. The meeting should be about decision-making and outcomes, not about discovering new knowledge. The knowledge and research should be sent prior to the meeting as homework so that everyone has had time to think about the issue prior to making a decision. The focus of the meeting should be a productive, real-time discussion. Clearly defined — The purpose of the meeting should be clearly articulated and understood by all attendees. It should have a defined objective that keeps the discussion on point. Scheduled with appropriate frequency — Recurring meetings are one of the greatest fallacies of the modern work culture. Often, these meetings are knowledge sync-ups, where stakeholders are just exchanging knowledge. Any sort of bi-directional exchange of information does not require real-time discussion, so a meeting is likely not appropriate. Rather, you can create a living status document or sync up via email. Demanding of a real-time conversation — The purpose of a meeting is to cultivate real-time conversation. Does sharing a PowerPoint require real-time conversation? Possibly, but often times these presentations are very knowledge-sharing focused and could just be prerecorded or sent out to the relevant stakeholders. The stakeholders can then determine if a real-time conversation is necessary. Results-driven — The purpose of the real-time discussion should be tailored to a specific outcome. 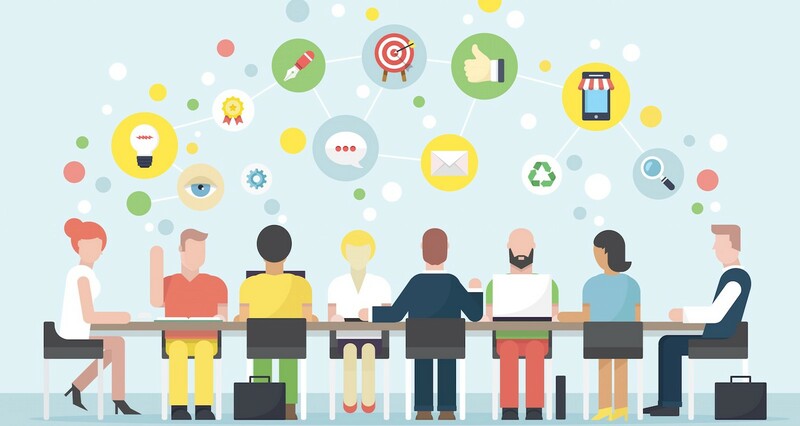 The outcome should never be “to have another meeting.” The outcome should also be codified and emailed to the stakeholders (and those who did not attend) so that the relevant stakeholders are aligned and have written record. 80% of meetings should be no more than 15 minutes long. 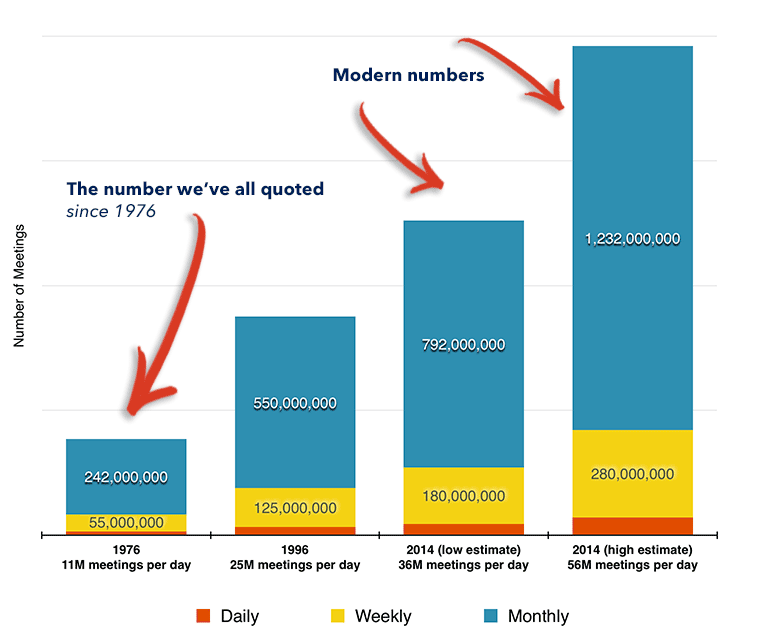 The number of formal meetings reduced by 75%. A 15 minute maximum for 80% of meetings, 30-minute max for 15%, and 1 hour+ max for 5%. A 15-minute optional extension if more real-time discussion is needed. For the average individual contributor, less than 10% of your time should be spent in formal meetings (this doesn’t include one-on-one discussions, quick sync-ups, and normal workplace coordination). When there is no longer need for real-time discussion, the meeting should be adjourned and a summary/next steps email should be sent to all participants by the meeting host. This has two benefits: (1) it holds hosts accountable for the meetings they organize, (2) it provides a codified result. Meetings should enhance productivity, inspire creativity, and enable teams to move faster — not the opposite.